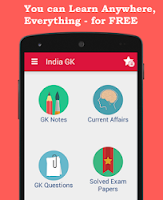 Current Affairs MCQs of 20 July 2015: Current Affairs Daily Multiple Choice Questions (MCQs) for India GK, World GK and current affairs with Collection of daily objective type Question by www.Indiagk.net based on General Knowledge (GK) and General Science (GS) Questions for UPSC, State PSC, SSC, Police exam, Railway exam, SBI, Bank PO, IBPC, SSC, LDC, UDC, Army, Airforce, Navy, Coast Guard, Bank Clerk, TET and all entrance examination with current affairs News, Multiple Choice Questions (MCQs) available on Website www.IndiaGK.net and Android Apps with daily updates:. The author of Book "Locale, Everyday Islam and Modernity” is ? 46th Indian Labour Conference inaugurated by PM Narendra Modi on 20th July was held at ------ ? Ujjain stares at flood like situation due to ............ river ? Jordan Henderson is appointed captain of which football club ? Railway Ministry and ---------- Government sign an MoU for cost sharing in the implementation of Dasappla-Bolangir Railway Line ? 46th Indian Labour Conference was inaugurated by ? Who at age of 50completed the ‎IronMan‬ Triathlon (3.86 km swim, 180.25 km bicycle ride and 42.2 km run) in 15 hours and 19 minutes ? The author of Book "Early Hindu Temples of Gujarat," is ?